This sounds like one for me & both my daughters! My 2nd daughter wants to learn Spanish through immersion in Argentina & we all love Austen! Thanks for the recommendation! Thanks so much for your kind words here! 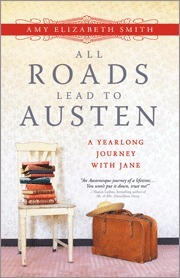 And I'm really glad the book made you want to get back to Austen!